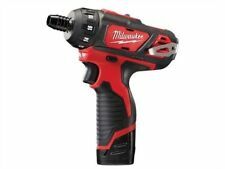 Lightweight Design, Heavyweight Performance: Small and portable enough to be used in tricky spots but heavy-duty enough to carry out tough DIY jobs, the Mylek Compakt is a 18V cordless drill for any occasion. 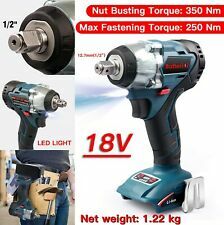 18V Impact Wrench: This heavy duty power tool is compatible with all Makita 18V lithium-ion batteries such as Makita BL1830, BL1830B, BL1840, BL1840B, BL1850, BL1850B, BL1860B etc. (Body Only). For Makita DTW285 18V Li-ion Cordless Brushless Impact Wrench 1/2" Body Only. Powerful 18V Lithium-Ion Battery & LED Light. Whether you love DIY or you are professional craftsman. This is one drill that gives you ultimate versatility. That is why it's important that you have a cordless power tool that can keep up with your ever-changing crafting needs. 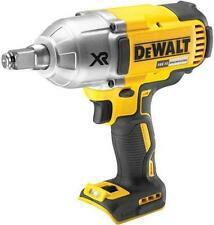 The New DTD152 Impact Driver Replaces the Older DTD146 Model. 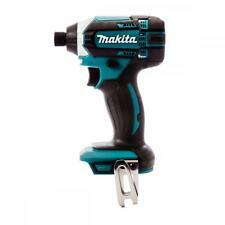 Makita DTD152Z 18v Impact driver body. Compact overall length of 137mm. High rotation speed. Machine Screw: M4-M8. No Load Speed: 0-2900 rpm. Driving Shank: 1/2" Square. Noise K factor: 3 dB(A). Vibration K factor: 1.5 m/sec². Body only machine. No Load Speed: 0 - 2,300 rpm. Product Specifications Vibration: Fastening Bolt: 8.5 m/sec². Max Fastening Torque: 190 Nm. Makita DTW190Z 18v Cordless LXT 1/2" Impact Wrench Scaffolding Tool - Bare Unit Makita DTW190 is an entry level 18V cordless impact wrench with an optimal tightening torque of 190 N.m. Features include: Electric brake. Variable speed control trigger. Forward/reverse rotation. LED job light. Equipped with Battery protection circuit: designed to protect the battery from damages due to overdischarge, high temperature or overload current. Ergonomically designed handle with rubberised soft grip fits your hand perfectly to provide maximum control and comfort. 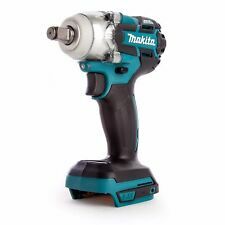 Specifications of the Makita DTW190Z: Battery Type: Lithium-ion Body only machine Voltage: 18 v Driving Shank: 1/2" Square Impacts: 0-3,000 ipm Standard Bolt: M8-M16 High Tensile Bolt: M8-M12 Noise sound pressure: 94 . Makita DHP482Z 18v LXT Cordless Combi Drill – Bare Unit Stock Code: DHP482Z Model DHP482 is a cordless hammer driver drill that has been developed as the successor to the current model DHP456. Features include: Electric brake. 2 mechanical gears. Variable speed control by trigger. Forward/reverse rotation. Twin LED job light. Ergonomic soft grip. Keyless Chuck. Compact and lightweight design. Equipped with Battery protection circuit: designed to protect the battery from damages due to overdischarge, high temperature or overload current. Metal gears. Specifications of the Makita DHP482Z: Capacity in Steel 13 mm Capacity in Wood 38 mm Chuck Capacity 1.5 - 13 mm Capacity in Masonry 13 mm Blows per Minute (Hi) - ipm 0 - 28,500 ipm Blows per Minute . For DTW285 DTW250 DTW180 DTW251 DTW284 DTW190 DTW181. 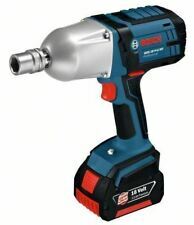 18V Impact Wrench: This heavy duty power tool is compatible with all Makita 18V lithium-ion batteries such as Makita BL1830, BL1830B, BL1840, BL1840B, BL1850, BL1850B, BL1860B etc. (Body Only). Reverse rotation auto stop mode: This mode works only with pulling the trigger fully when in counter-clockwise rotation. The Makita DTW285Z is suitable for Scaffolding Applications. Brushless motor. The DeWorx 21v Cordless Wrench is a compact and powerful impact wrench. This impact wrench is supplied in a blow moulded case, for ease of storage and transportation, keeping everything together securely. 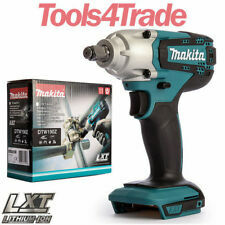 Makita DTD155Z LXT 18v Li-Ion Brushless Cordless Impact Driver Body Only. Battery Compatibility: 18v Lithium-Ion (LXT). Brushless Motor: Yes. One-touch bit installation with 1/4" hex chuck. Driving Shank: 1/4" Hex. Makita DHP484Z 18V LXT Lithium Ion BRUSHLESS Combi Hammer Drill - Bare Unit Stock Code: DHP484Z Model DHP484 is a Cordless Hammer Driver Drill powered by 18V Li-ion battery (sold separate). Featuring the Makita Brushless motor, precision engineered to be up to 50% more efficient than a comparative model. Without brushes in place to apply friction a Brushless motor can produce a greater measure of torque per weight. With more torque at your disposal less power is required for day to day use, adding to the motors efficiency and extending the products overall lifetime as maintenance becomes less of an issue.The DHP484 has been developed to succeed model DHP480. Features and Benefits: Brushless motor Electric brake 2 mechanical gears. Variable speed control . Makita HR140DZ Vibration absorbing housing. Noise sound power: 95 dB(A). Net weight (without battery): 2.6 kg. Capacity in Concrete: 14 mm. Capacity in Steel: 10 mm. Capacity in Wood: 13 mm. Noise K factor: 3 dB(A). Makita Part Code:DHR242Z. Ergonomically designed to give maximum power thrust. The tool body is separated into the upper and lower housings at the foot of handle portion where the housings are jointed with vibration absorbing cushion rubbers. 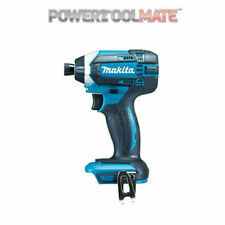 Makita Combi Drill 18volt DHP482WZ. Makita Part Code:DHP482ZW. Supplied as body only. Twin bright LEDs illuminate the working area. Need more info on this item?. LIVE CHAT us! Part No.DHP482ZW. UK (CE Approved). Flexible battery system: works with all Milwaukee® M12™ batteries. SOLD BY AN AUTHORISED UK MILWAUKEE DEALER. Reinforced housing - provides high durability similar to steel ratchets. Pneumatic performance with cordless convenience, 47 Nm of torque and no load speed of 250 rpm. Floureon Cordless Drill Driver Set with Double 21V Lithium Ion Battery Chuck Max Torque 36N. m Flexible Shaft Hard Case UK Plug Type. The ergonomic design and comfortable rubber grip make your drill driver easy to use. The Makita DTW1002Z 18v Li-ion Cordless Brushless Impact Wrench with 1/2" Square Drive is an extra-high torque cordless impact wrench boasting a maximum fastening torque of 1,000 Nm & a nut busting torque of 1,600 Nm. Features: - 2-speed gear selection with variable speed in each range - In-line design brings drilling and driving pressure in line with center of drill bit axis - Reversible for removing screws - Built-in L.E.D. light for more illuminated work - The fastening torque can be adjusted in 18 steps by turning the adjusting ring Includes: - 2 x 10.8V 1.3Ah Li-Ion Battery ( BL1013 ) - Fast Charger ( DC10WA ) Specifications: - Max in Steel: 10mm - Max in Wood: 21mm - Wood Screw : 5.1mm x 63mm - Machine screw : M6 - Torque: 18 Drill - Driving Shank (Euro Fit): 1/4" Hex - Max Torque: 14/24 - No Load Speed: 0-350 0-1300rpm - Overall Length : 157mm - Charging Time: 50min - Net Weight: 0.88kgs. This compact and lightweight HP457 combi drill is ideal for drilling into wood, plastic, metal and masonry. The all metal gear construction gives added durability, whilst the ergonomically designed rubberized soft grip provides excellent control and comfort. The machine is fitted with a single sleeve keyless chuck, to enable easy bit installation and removal. The Makita TD127D Impact Driver tough lightweight impact driver with an overall length of 138mm great for getting into hard to reach areas around the site, using one touch bit changing and a bright LED work light with useful pre-glow and afterglow functions. The TD127D impact driver use a lightweight 4 pole motor, reverse switch, electric brake This set complete with 2 x 1.5Ah Li-Ion batteries, charger and carry case and 29 piece. The WORX WX260 20V Impact Driver gives you all the power you need for driving. The 20V Impact Driver has a built in LED light to make working in low lit areas easier. 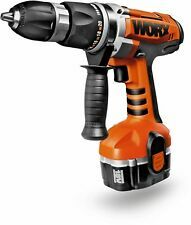 WORX WX260 20V MAX Impact Driver. Makita DHR171Z Shank: SDS PLUS. The Brushless Motor eliminates carbon brushes, enabling the BL Motor to run cooler and more efficiently for longer life. Brushless Motor: Yes. Built-in L.E.D. light illuminates the work area. 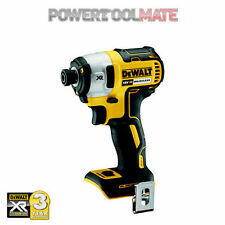 DEWALT DCF894N COMPACT IMPACT WRENCH HIGH TORQUE. Ideal for grooved couplings, pipe flanges, wheel lugs, concrete anchor setting, and many other applications where a lot of torque is needed in a compact space. 1x DTD154Z Impact Driver Body Only. Battery Compatibility: 18v Lithium-Ion (LXT). Heavy duty, with an ULTRA-COMPACT design at just 117mm long and the Brushless DC Motor make the DTD154 impact driver one of Makita's best tools to date. Brushless motor. 1x DTW285 Impact Wrench Body Only. Reverse rotation auto stop mode: This mode works only with pulling the trigger fully in counter-clockwise rotation. Driving Shank: 1/2" Square. Compact design with overall length of 147mm. 1x 21V Drill. Battery:1500mAh Li-ion Battery. 1x 1500mAh Battery. Model: BDCDD12. Model BDCDD12. CK COMBICUTTER 1 MAX 180mm Redline VDE Side Wire/Cable Cutter Plier T39071-1180 vilio(523). Aluminium Spanner, (Alloy). Pliers, Pincers & Cutters. Titanium Scaffold Spanner. PLUS HEAVY DUTY TSTAK CARRYING CASE. TOOL HOLDER TYPE sds plus. CHECK OUT THE REST OF OUR DEALS FEATURING THIS RANGE. INCLUDES SIDE HANDLE AND DEPTH ROD. Best price/performance ratio among professional cordless combi. Cordless Power Tools. Noise level The A-rated noise level of the power tool is typically as follows: Sound pressure level 89 dB(A); Sound power level 100 dB(A). The machine is fitted with a single sleeve keyless chuck, to enable easy bit installation and removal. (Genuine UK Makita model and CE rated). 16 Torque Settings. SEE MY OTHER QUALITY TOOLS & ACCESSORIES! 3-mode SDS plus drill with rotation stop mode for light chiselling in plaster, tiles and render, and impact stop mode for rotary only drilling in wood and metal. Ideal for drilling anchor and fixing holes into concrete, brick and masonry from 4-22mm. Compact, lightweight and ergonomic design for comfort and support during extended operating periods. Features brushless motor with a high capacity 4Ah battery. With thermal overload protection. Supplied with charger, multi-position side handle and TSTAK carry case, compatible with the TSTAK storage system. 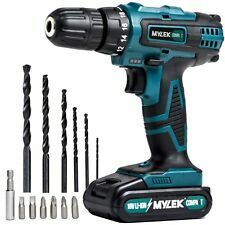 Features: 30min Charge Time Drill, Hammer Drill Chisel Max. Impact Energy: 2.0J No Anti-Vibration System Electronic Clutch All-Metal Gearbox Electronic Brake On/Off Switch Variable Speed Includes: 1 x 4.0Ah Li-Ion . 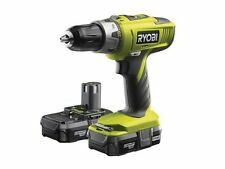 Ryobi ONE+ 2Ah Cordless Combi Drill with 2 Batteries - 18V.